This is generally considered the “off-season” in real estate. Many sellers mistakenly believe that the cold weather will keep buyers away and that no one is looking over the holidays. Unfortunately, many real estate professionals perpetuate this myth by advising their clients to “wait until the spring” to list their home. If you’re in the market to buy or sell, there’s no need to wait for the spring. Read on to discover the top five reasons that it can pay to buy or sell a home during the off-season! 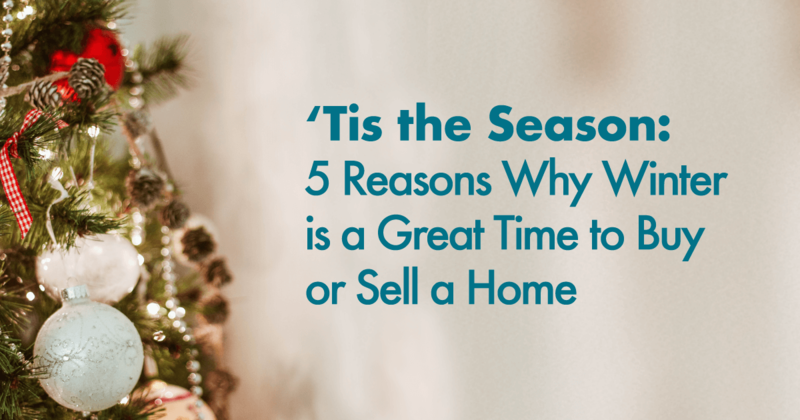 What’s the number one reason to buy or sell a home during the off-season? Less competition! Buyers also have a lot to love about the real estate off-season. While some buyers need to move during the winter, many bargain hunters search this time of year in hopes of scoring a great deal. Smart buyers will continue to scan the market during the fall and winter for hidden gems that pop up during the off-season. There are always highly motivated sellers who need to sell quickly. And with less competition to bid against you, you’re in a better position to negotiate a great price. If you’ve been looking for a good deal on a home or investment property, now may be the best time to look! 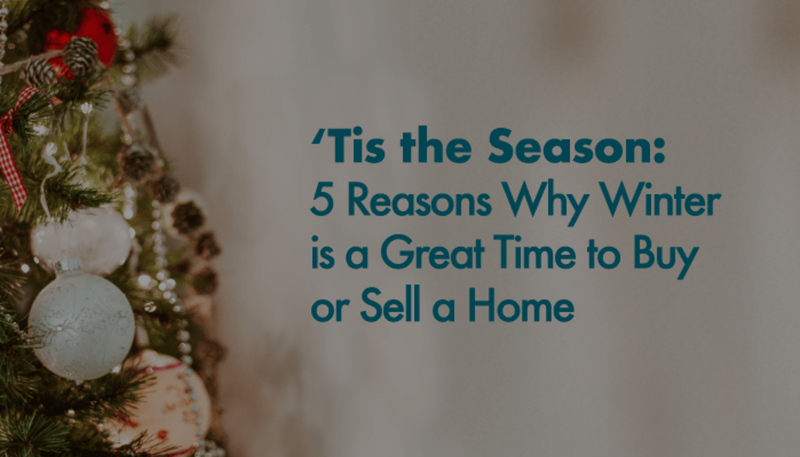 If you prefer to deal with serious, highly-motivated buyers and sellers who want to act fast and don’t want to waste your time, then the off-season may be the perfect real estate season for you. Another key benefit to buying and selling in the off-season is the increased personal attention you’ll receive. While we strive to provide unparalleled client service throughout the year, we simply have more time available for each individual client during slower periods. Similarly, we find the other real estate professionals in our network—including title agents, inspectors, appraisers, insurance agents, and loan officers—are able to respond faster and provide more time and attention during the off-season than they are during the busy spring and summer months. The result is a quicker and more streamlined closing process for all involved. Home renovations and repairs can also be less expensive in the off-season.5 Whether you’re fixing up your property prior to listing it or remodeling your new home before moving in, contractors and service providers who are hungry for business are often willing to work for a discount this time of year. If you wait until the spring and summer, you may be forced to pay a premium. Whether you’re buying or selling, count cost savings as another compelling reason to consider an off-season move. Finally, listing your home during the fall and winter offers one key—but often overlooked—advantage: less lawn maintenance, maybe except here in Southern California! Good curb appeal is crucial when selling your home. According to a recent report by the National Association of Realtors, 44 percent of home buyers drove by a property after viewing it online but did NOT go inside for a walk-through.6 That means if your curb appeal is lacking, buyers may never make it through the door. If you list in the off-season, however, your lawn maintenance list is significantly reduced. While we do recommend that our sellers keep their exterior clean, tidy, and free of leaves, snow, and ice, you will probably spend much less time on outdoor maintenance during the winter than you would if you listed your home in the summer. Now that you know all the great reasons to buy or sell a home in the off-season, it’s time to decide whether you’re ready to make your move.